To kick start the year, the Women’s Register (WR) collaborated with LinkedIn to help members make the most out of their LinkedIn profiles. There are a lot of things that people often misunderstand about LinkedIn, and the night was meant to shatter all the myths, learn the many tips and tricks, as well as how to practice the best LinkedIn etiquette. Some ladies came without having a LinkedIn profile, hoping that the session could bring them some enlightenment. Some came immensely prepared, curious to learn every trick there is in the book on how to brand themselves vis-à-vis their peers on this increasingly omnipresent platform. 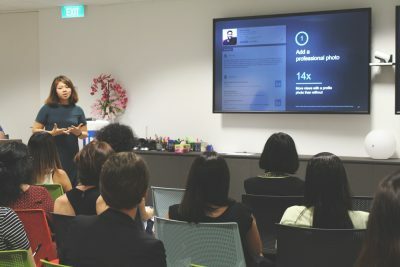 The talk was led by three ladies – Mac Witmer, Jolene Sng and Laura Burns, who are all deeply passionate about advocating that time spent on LinkedIn can easily convert into real successes, and ROI for businesses. The ladies also taught the participants how to leverage the platform to achieve their own goals, and be enabled to find careers that they truly love. 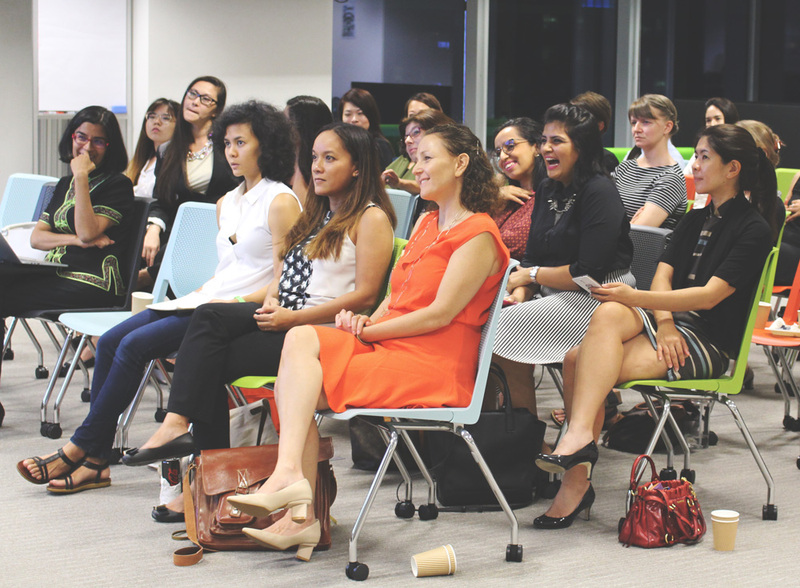 In addition, the ladies spoke about expressing their individuality on LinkedIn. Mac, who’s from California and having previously worked in San Francisco, has only been in Singapore for the last 2 years. She chose to personalise her profile by putting up a background image of a row of colourful shop houses at Joo Chiat as she thinks it screams she’s “clearly adapted and assimilated”. If you’d like to attend Women’s Register talks at a discounted rate, sign up as a member here or send us an email at info@womensregister.org.